Thank you CleverMade for partnering with me. Thank you for supporting the brands who support this blog. As always, opinions are only my own. You guys know that I travel with Aimery a lot, especially during the summer! This year, we went to the lake very often, and we planned another trip during Labor Day weekend! Although I love traveling with Aimery, it wasn't always easy! 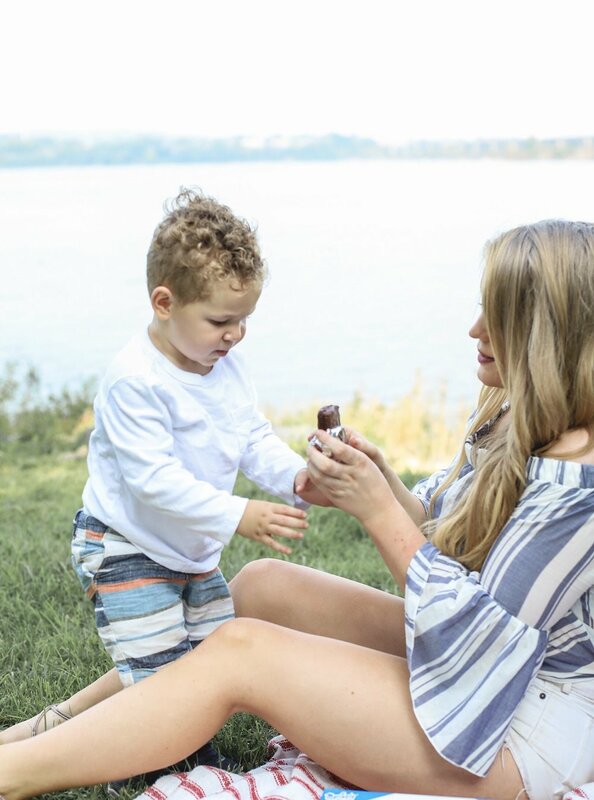 Trips to the lake or the beach can be pretty overwhelming when you have a toddler. But once you are prepared and know what to expect, then vacations do get a whole lot easier and even stress-free! 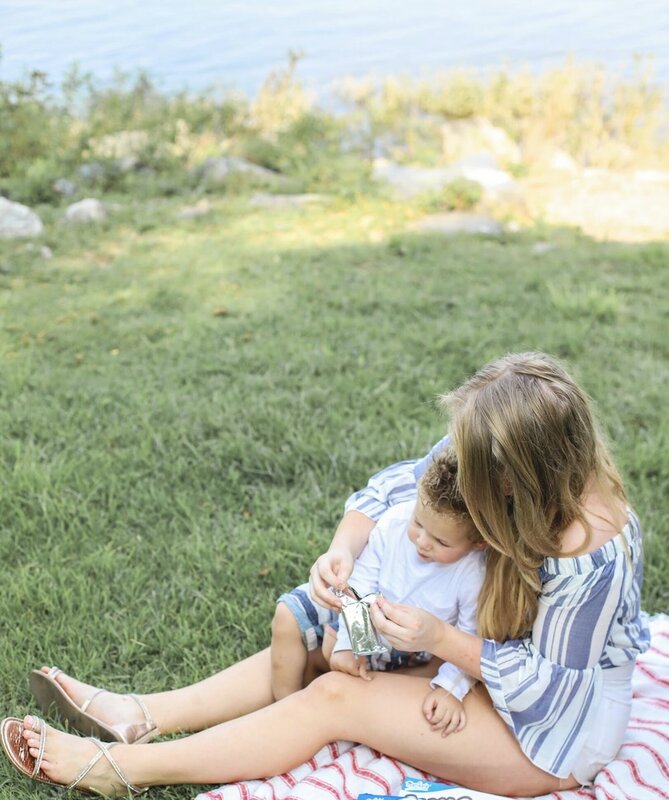 Yes, you can actually enjoy your vacation, even with a toddler! Read what to pack for a trip to the lake with kids, here. Most toddlers like schedules. Aimery thrives on routine and doesn't do well if even the slightest thing is changed during the day. So before we travel anywhere, I really try to plan our vacation routine and activities that we will be doing while we are away. Aimery knows that every morning, even on vacation, he will wake up and go throughout our normal morning routine. I then plan one activity to do before his nap, and then when he wakes up, I take him to the lake before dinner. Although we are doing different things everyday, we still have normal nap times, meal times, and bed times. Read how to survive a road trip with a toddler and not go insane, here. When you travel with a toddler, you need to be prepared for anything. So keep this in mind even when you are packing! When it comes to days at the lake, I definitely overpack. I hate having to run all the way back to our house for something I could have just brought along with us in the first place! 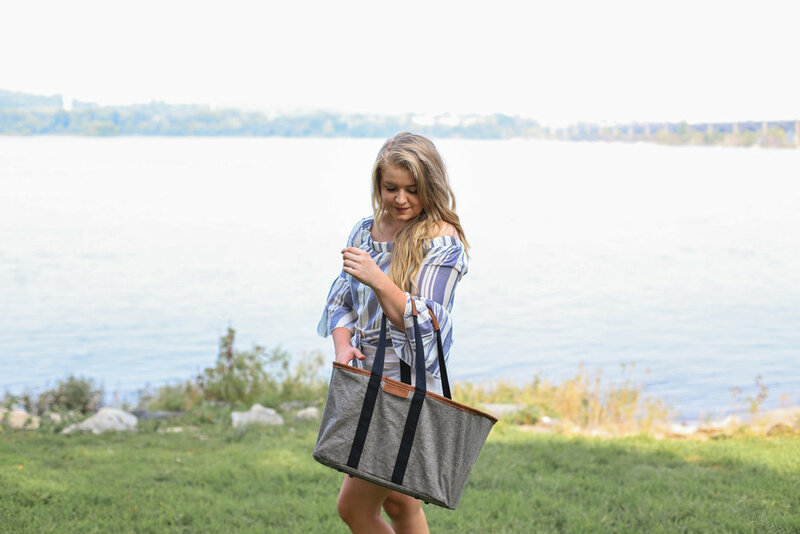 I love using these SnapBasket Totes from CleverMade because they carry everything that I need and they are perfect for on the go! Plus when they are not in use, they are collapsable and fold down to less then 1.5 inches. I love keeping them in my car so I can snap them open whenever I need to tote my belongings on vacation! Clevermade also sells these SnapBasket Coolers which have the same space-saving design, while still holding up to 50 cans with ice! 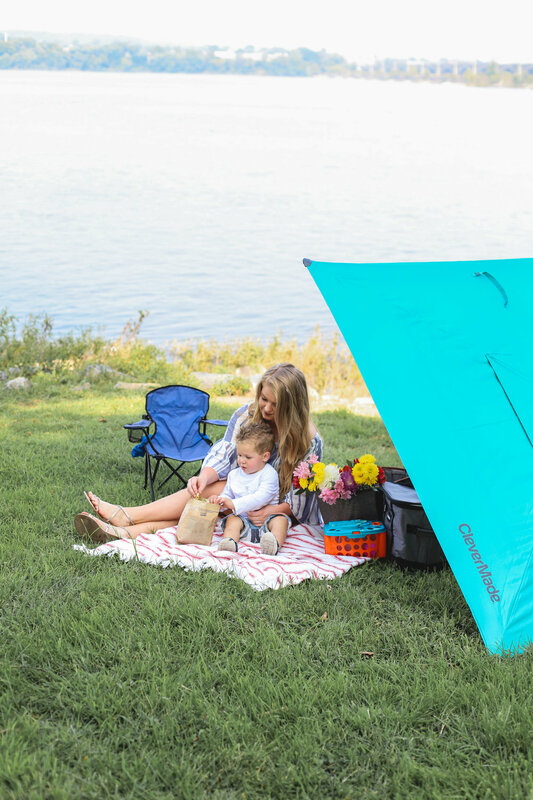 Read seven things mom should pack in their lake/beach bag, here. Whenever you plan to be in the sun for an extended amount of time with kids, bringing an umbrella is always the most important thing to pack. Aimery and I both have extremely sensitive skin, and wearing sunscreen just doesn't cut it for us. We love to spend hours outside so bringing a great umbrella is really important whenever we travel! My favorite one is the QuadraBrella, it's a multi-functional umbrella that is so easy to travel with. You can either set the QuadraBrella upright or in a leaning position to provide sun protection. 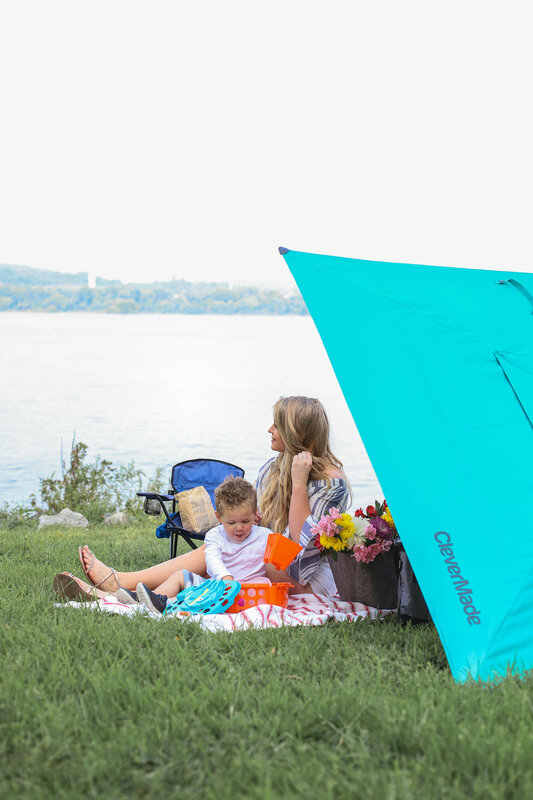 Whether we are at the beach, lake, or even a sporting event - I can always bring along our QuadraBrella for shade!